Sixth century B.C. was an important era in history. This was the period when a great benefactor of mankind was born and became renowned as Gotama the Buddha. The Buddha rediscovered the path of Dhamma, the law of nature (the path to liberation), leading to the eradication of universal suffering. With great compassion, he spent forty-five years of his life in teaching Dhamma, the path out of suffering, to millions of people helping them to come out of their misery. Even today this path is helping humanity, and will continue to do so provided the teachings and practice are maintained in their pristine purity. 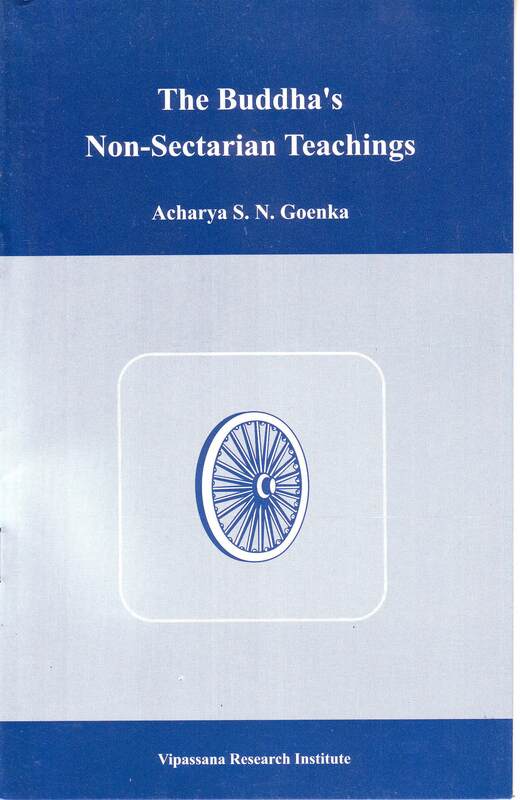 This book contains the teachings of the Buddha, which is not only universal but also absolutely non-sectarian. It also provides an introduction to Vipassana meditation, quintessence of the Buddha’s teaching.